Global safety and security manufacturer, Allegion has moved the offices of its UK operation to Aston, Birmingham. 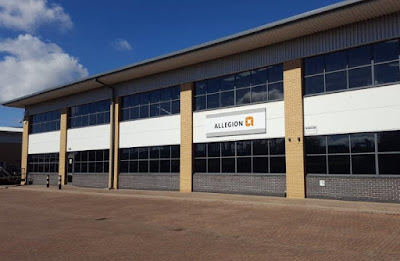 Specialising in keeping people safe and secure where they live, work and visit, Allegion provide unique, customisable packages for key markets including education, healthcare, hospitality, commercial and residential. Their innovative product range focuses on security around the doorway and beyond: everything from residential and commercial locks, door closers and exit devices, to electronic access control. The premises will feature a new state-of-the-art ‘Security and Safety Learning Centre’ designed specifically to showcase its market solutions and electromechanical product packages. Allegion partners will be able to learn best practice from ‘in-house’ experts in choosing the correct door hardware and electronic access control solutions for their application, and ensure it is fitted and maintained correctly. The Learning Centre will also host a cutting edge photo booth which will allow 360–degree photography further enhancing the customer experience by allowing a complete view of products from all angles.